When OSHA set quantity requirements for annual refresher training without setting stringent quality requirements, safety training began a never-ending downward spiral. The vast majority of ALL safety training, OSHA required and otherwise, is low-quality training that has little to no impact on performance in the workplace. This was certainly not the intention or the fault of OSHA, but they started the movement and have yet to do anything to stop it. After interviewing tens of thousands of workers, we seldom find any who truly value safety training. There are exceptions, and some are quite innovative and effective; but they are in the minority. Most safety training is boring and repetitious. It is to be endured rather than relished. It is demotivating and sometimes even demeaning. But this is not a characteristic of training in general; only of safety training. It does not have to be so. Safety training can be stimulating and thought expanding. It can establish focus and help to address specific issues. It can build effective cultures and foster teamwork. Often, the amount of effort and resources needed to turn boring training into dynamic training is well worth the effort. Organizations should seek to maximize the impact of their safety training rather than just keeping the organization in minimum regulatory compliance. 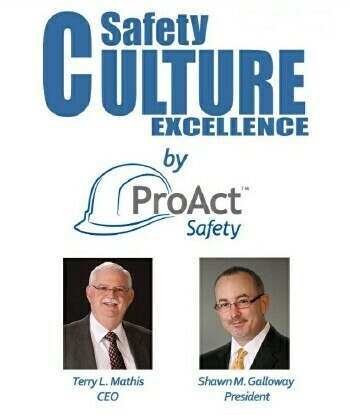 Terry L. Mathis is the founder and CEO of ProAct Safety, an international safety and performance excellence firm. He is known for his dynamic presentations in the fields of behavioral and cultural safety, leadership, and operational performance, and is a regular speaker at ASSE, NSC, and numerous company and industry conferences. EHS Today listed Terry as a Safety Guru in ‘The 50 People Who Most Influenced EHS three consecutive times. He has been a frequent contributor to industry magazines for over 15 years and is the coauthor of STEPS to Safety Culture Excellence (2013, WILEY).